Judy Stubbs, the Eskenazi Museum of Art’s Pamela Buell Curator of Asian Art, will discuss works by Hokusai in the museum’s collection, including some that inspired scenes in the movie. This award-winning Japanese animated film, based on a historical manga series by Hinako Sugiura, tells the story of Katsushika Ōi (ca. 1800–ca. 1866), an artist who worked in the shadow of her famous father—the great ukiyo-e print designer Katsushika Hokusai. 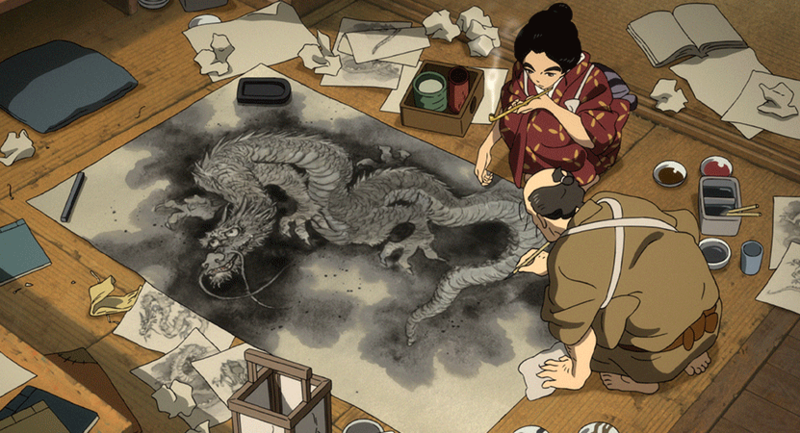 In addition to exploring issues of familiar relationships, gender roles, and the mystical power of art, the film depicts life in 19th-century Edo and alludes to some of Hokusai’s famous images, such as The Great Wave. In Japanese with English subtitles.